IT is crucial to successful merger integration and supports many important integration activities. However, it is often identified as a root cause of failed M&A and divestiture efforts due to poor IT platform and organization integration, inefficient due diligence and failure of IT to enable business synergies. These same areas, however, are also key targets for significant profit opportunities. Go To Technologies' IT merger integration experts work with our experienced mergers and acquisitions consultants to help companies focus on the value that technology brings to a deal. Post-merger integration planning: Integration plans need to be uniquely tailored to the nature of each deal, beginning early in the process. Our due diligence process actively engages clients and their partners to assess existing IT environments and capabilities, and then identify the opportunities and threats of changes in business structure. Developing IT integration approaches: We work together to develop a tailored strategic IT roadmap, including a migration plan, and guide the IT decisions and actions required to realize the deal’s maximum value and benefit. IT Governance is the discipline focused on IT Systems, their performance and risk management. We implement a unique Risk Management program to enable our customers to identify, classify, and mediate business risks in a cost effective and timely manner. 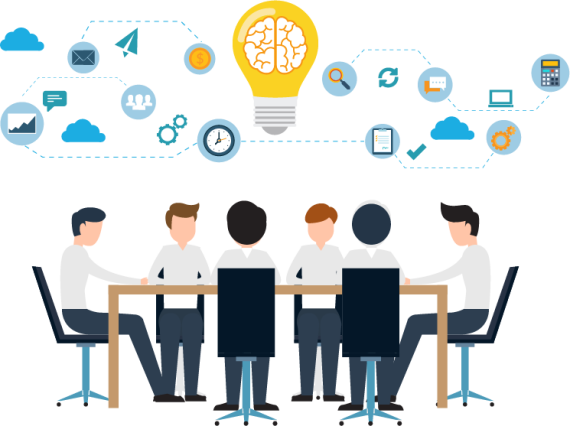 Our highly trained and experienced Project Managers can manage and deliver projects utilizing a variety of methodologies including Waterfall, Agile, Iterative, and Scrum. Our experts can manage large Programs, Portfolios, or Key/High Priority Projects and ensure the solutions are delivered. DO YOU HAVE YOUR "GO TO" TECHNOLOGY PARTNERS?